Birthplace : Oxford, Mississippi, U.S.
Ellen S. Woodward was the director of work relief programs for women during the New Deal in the 1930s. As a leader among women's clubs and political groups in the United States, she was an effective advocate for economic security for women and children. Ellen Sullivan Woodward was born on July 11, 1887, in Oxford, Mississippi. Her father, William Van Amberg Sullivan, was a lawyer who served briefly in the U.S. Congress both as a representative and as a senator from 1897 to 1901. Thus, young Ellen lived in Washington and developed an early interest in politics and public affairs. She went to private schools in Washington and to Sans Souci, a female seminary in Greenville, South Carolina. In 1906, at the age of 19, Ellen Sullivan married an attorney, Albert Young Woodward, who lived in Louisville, Mississippi. Soon after she moved there, Ellen Woodward became involved in club work and civic activities that made her aware of the many possibilities and opportunities available to organized women to improve the lives of citizens in their communities and states. After her husband died suddenly in 1925, leaving her with a son, Albert Jr., to support, she was elected to complete her husband's term in the Mississippi legislature. She was the third woman to serve in that body. When her term ended in 1926, Woodward took a promotional job with the Mississippi State Board of Development, an agency created to encourage civic and industrial growth in the state. At first she was assigned to work with club women to help them improve their towns and counties, but she was soon made the executive secretary of the board. She became the most informed woman in Mississippi about matters of economic and social welfare. As the Democratic national committeewoman from Mississippi, she was a strong supporter of the candidacy of Franklin D. Roosevelt in 1932. Her work came to the attention of public welfare leaders outside her state, and in August 1933 Harry L. Hopkins, the head of the Federal Emergency Relief Administration, asked her to come to Washington to be his assistant administrator. She was put in charge of creating and supervising relief projects that would provide work for unemployed women. When a larger program—the Works Progress Administration (WPA)—was set up in 1935, Woodward's duties and influence greatly expanded; at its peak in 1936 her division had 480,000 women at work. In 1936, when she was given the direction of the professional workers (artists, musicians, writers, and actors) who had jobs with the WPA, the numbers of workers and projects under her supervision increased and also included men whose work fell within the jurisdiction of her division of the WPA for the first time. Next to First Lady Eleanor Roosevelt and Secretary of Labor Frances Perkins, Woodward was said to be the most important woman in the New Deal. She once said, "Unemployment and unhappiness are synonymous. Our programs aim to end both." In 1938 Woodward resigned from the WPA to accept an appointment from President Roosevelt as one of the three members of the Social Security Board (SSB). She remained in that position until the executive branch of the government was reorganized in 1946. At that time her work was transferred to the Bureau of Inter-Office and International Relations in the new Federal Security Agency (FSA). She remained the head of that office until she retired in 1953, but by then the work of the FSA had been subsumed by the new Department of Health, Education, and Welfare (now the Department of Health and Human Services). 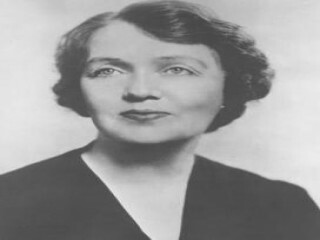 During her tenure as an SSB member (1938-1946) Woodward concentrated on making the benefits of the social security system understood by American housewives and women workers. She also devoted much time to advocating that the Social Security Act be amended to provide protection to additional workers such as farmers, nurses, and domestics. Her ally in these endeavors was Eleanor Roosevelt, who had also given Woodward full support earlier during her administration of women's work relief. Through World War II Woodward spoke out often on subjects of importance to women war workers and professional and political women who did not want to see the number of policy-making positions in government for women diminished. New assignments came to Woodward in the area of international social welfare. From 1943 to 1946 she attended six international meetings of the United Nations Relief and Rehabilitation Administration (UNRRA) as an adviser to the United States delegation. In 1945 the State Department sent her to Germany as an UNRRA observer of camps for displaced persons. In 1947 she was one of two women delegates at the organizational meeting at Lake Success, New York, of the United Nations Economic and Social Council (which became the organizational link between the UN and such specialized agencies as UNESCO, WHO, and FAO). After she retired in 1953, Woodward remained in Washington and died there of arteriosclerosis on September 23, 1971. She was buried in her old hometown, Louisville, Mississippi. View the full website biography of Ellen S. Woodward.